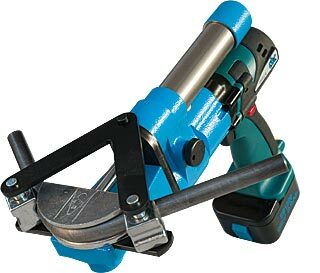 Battery-based hydraulic pipe bender for bending bonderized and stainless steel pipes from diameter 6 to 18mm. -	Bonderized steel pipes of max. diameter 18x2 mm.